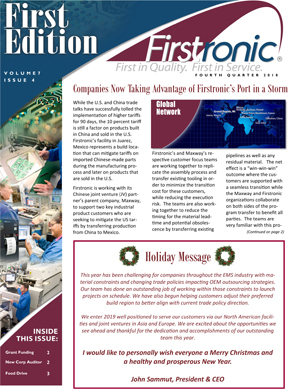 This quarter’s newsletter discusses ways Firstronic is helping its customers mitigate tariffs, reduce training cost through grant funding and help out the less fortunate via a canned food drive. 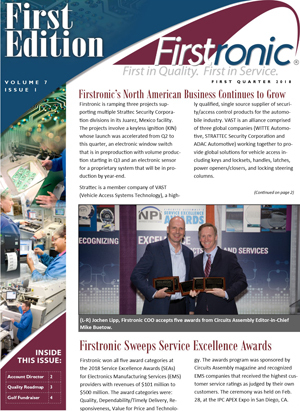 Martin Valdes, Firstronic’s new Corporate Quality Systems Auditor is announced and Firstronic’s longest tenured employee, Mike Mattson, is profiled. 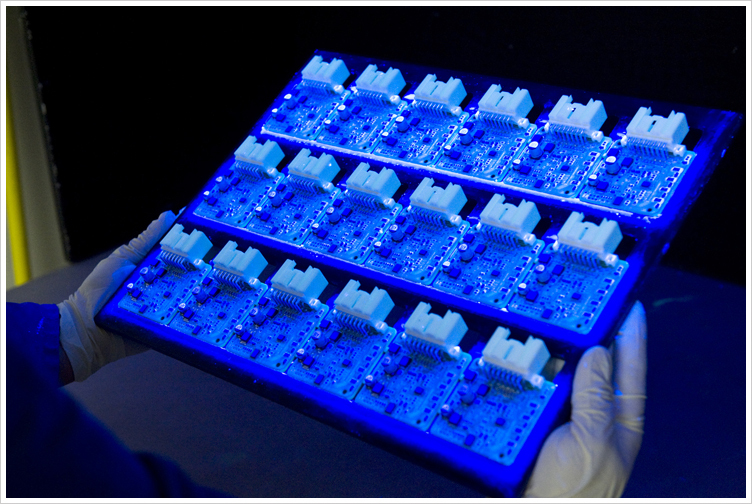 This issue looks at tariff migration and highlights an exceptionally fast program ramp conducted by the team at our facility in Juarez, Mexico. 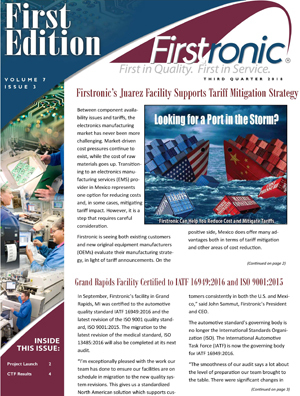 The issue also discusses the Grand Rapid, MI facility’s recent certification to IATF 16949:2016 and ISO 9001:2015. Finally, we discuss the record setting results we had in this year’s Children’s Tumor Foundation campaign. 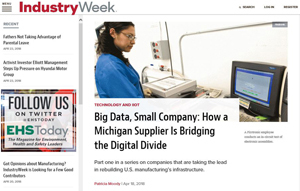 A look at ways Firstronic’s Plex Online ERP system helps force multiply its team while providing real-time visibility 24/7. 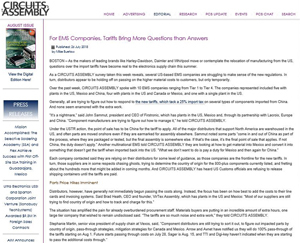 Firstronic President and CEO John Sammut shares his thoughts on the impact of tariffs on EMS companies. 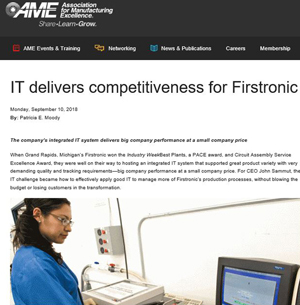 Firstronic’s CFT approach enhances customer support through a larger dedicated team framework. 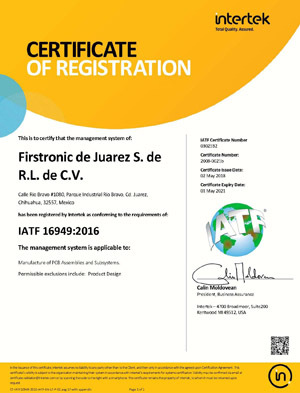 IATF 16949:2016 helps mitigate risk and drive organizational improvement. 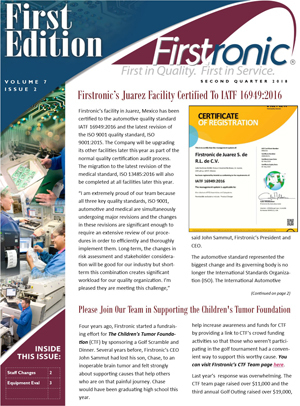 Juarez facility certified to IATF 16949:2016, Children’s Tumor Foundation fundraising page launched, Tim Abbott is named Director of Engineering, Sandy Kolp is named Director of Quality, Keith Kolp is promoted to Grand Rapids Plant Manager, and Firstronic is evaluating several equipment vendors as it chooses a standardized SMT equipment platform.